The Goods & Services Bill (GST Bill) was passed in the Rajya Sabha earlier in August 2016. 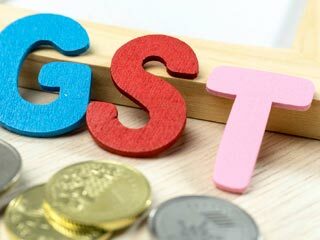 The GST Bill, which is considered as one of the biggest tax reforms in the country since Independence, proposes to eliminate all indirect taxes on goods and services and levy a single rate. Taxes are a difficult subject for the working class, especially for those who are unaware of its jumbled calculus. It looks like a maze of legalese and math, signifying nothing much. With the GST, the government is aiming to simplify it for the public. The government explains the GST in simple terms in the recently-published frequently asked questions. Here is what it has to say: GST is one indirect tax for the whole nation, which will make India 1 unified common market. GST is a single tax on the supply of goods and services, right from the manufacturer to the consumer. Simply, the amount that we expend for goods and services has the taxes embedded in them. Mostly, the consumers are not even aware of or ignore the tax they pay for things they buy. Amendment of the bill is going to give a relief from the high percentage of taxes. In a recent meeting, the GST council has agreed on rate structure as 0 per cent, 5 per cent, 12 per cent, 18 per cent and 28 per cent. Having a slab rate structure in GST is a departure from popular international practice of having one rate of tax for all goods and services. The council has not announced the schedule of goods and services under each slab rate. The FM has mentioned that highest tax slab rate applicable to items currently taxed at 30 per cent to 31 per cent (excise duty plus VAT) will be taxed at a lower rate of 28 per cent. Some of the goods taxed at 28 per cent will be charged with an additional cess for five years. This will make the life of Indians much simpler as the GST bill eliminates 17 indirect taxes. Manufacturing will get more competitive as GST addresses cascading of tax, inter-state tax, high logistics costs, creating a boost in the retail industry. Minister of Finance Arun Jaitely explained why the decision was taken to compensate states with a cess. "As per our calculation, Rs 50,000 crore will be needed in the first year for compensation. If we have to raise this by way of tax, we will need Rs 1,72,000 crore," he said. "Luxury cars, tobacco, aerated drinks will be levied with a cess, which along with clean energy cess on usage of coal, will be used to compensate states for loss of revenue," he added. The Finance Minister also said that the compensation to states will have a sunset clause of five years, even as the council will take a call every year to see if the same needed to be continued. The final consumer will bear only the GST charged by the last dealer in the supply chain, with set-off benefits at all the previous stages. Minister of Finance Arun Jaitley had earlier said that GST will be beneficial to the Centre, states, industrialists, manufacturers, the common man and the country at large since it will bring more transparency, better compliance, increase in GDP growth and revenue collections. Logistics firms believe that GST will help them and result in lowering the product prices by up to 10 per cent. This will affect the MRP very effectively, increasing sales and revenue. GST will also generate growth for sectors like auto, consumer durables and fast-moving consumer goods (FMCG) while in effect of these sectors to pass on impact of lower taxes on goods to consumers.